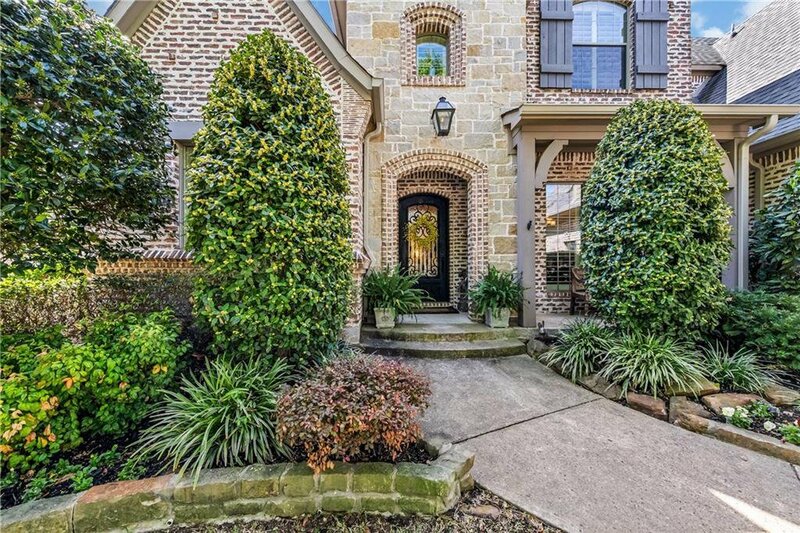 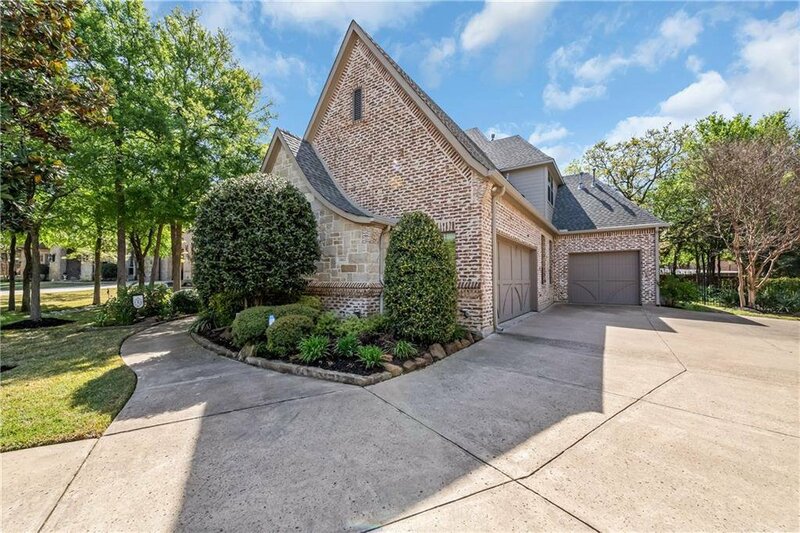 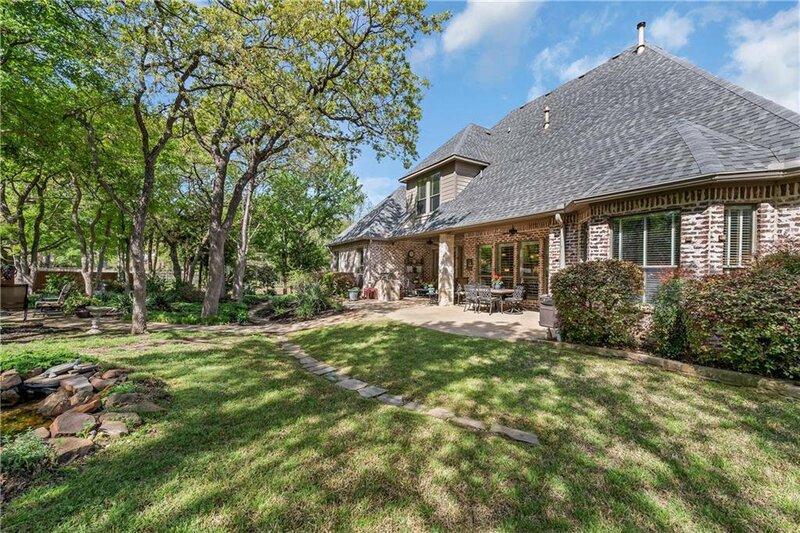 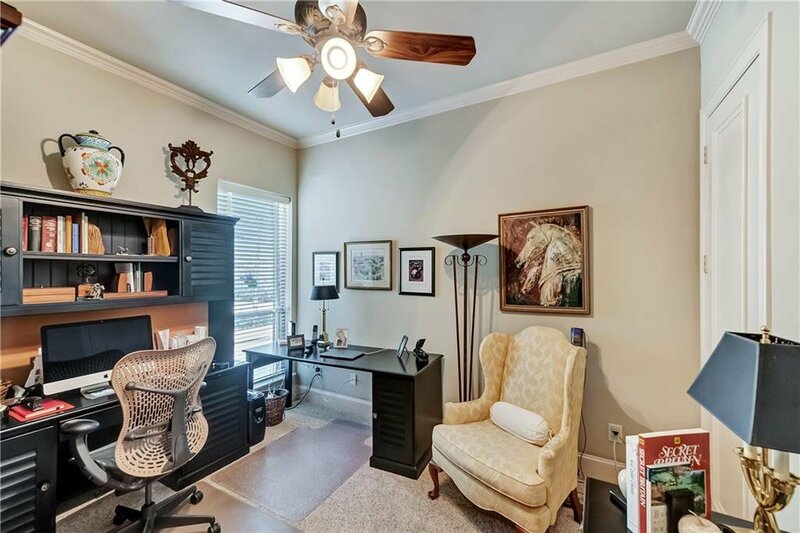 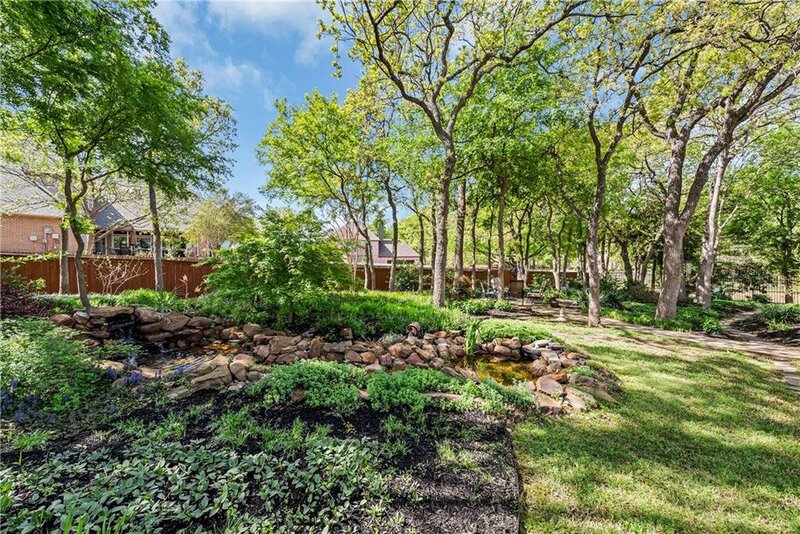 Well appointed home nestled on a treed half acre home-site with serene landscaping featuring year round blooms, pond with waterfall, outdoor entertainment area and more. 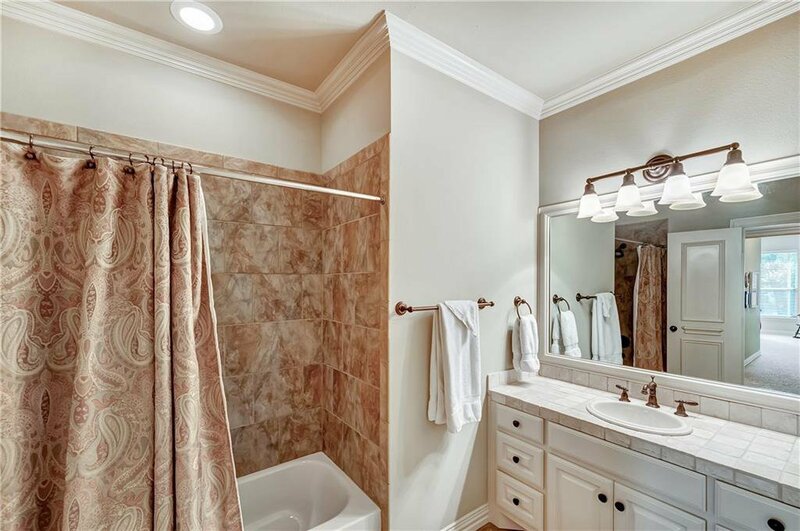 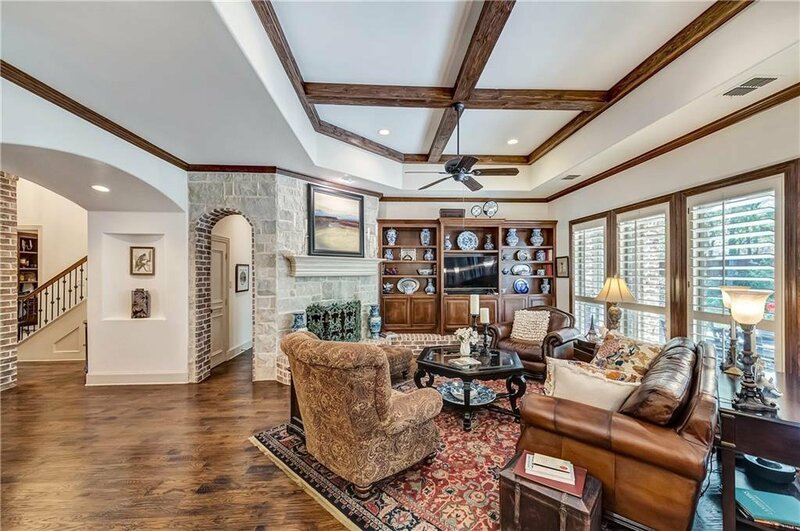 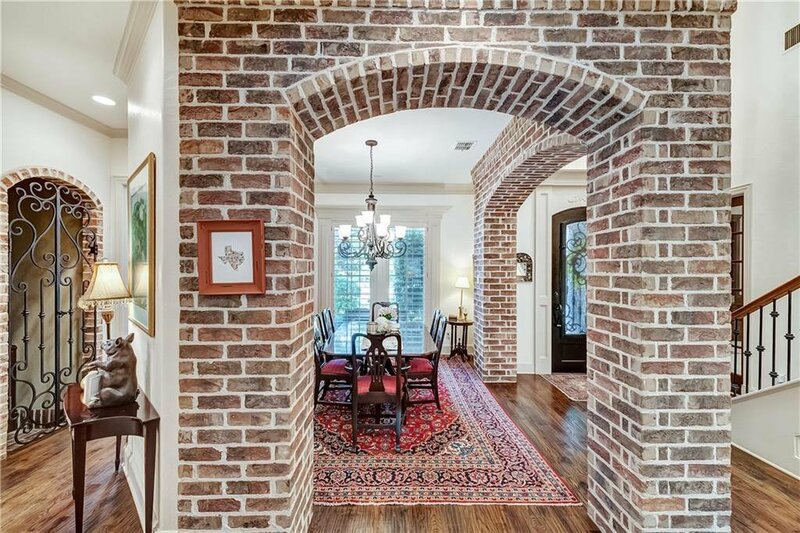 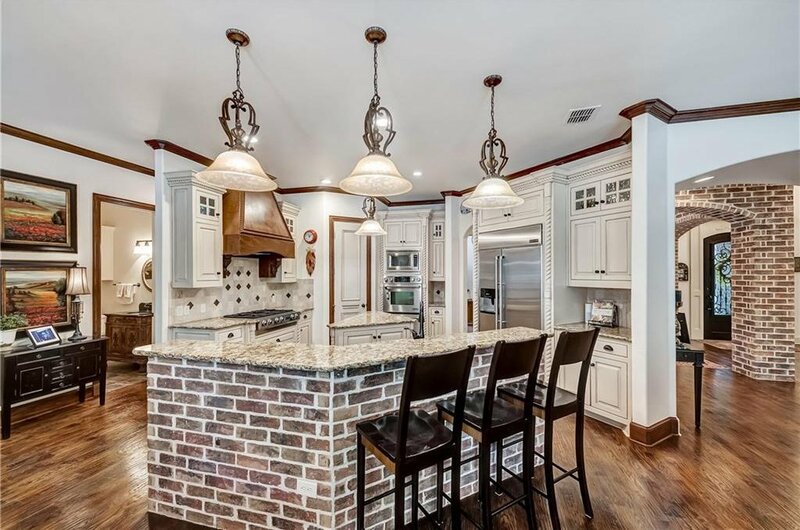 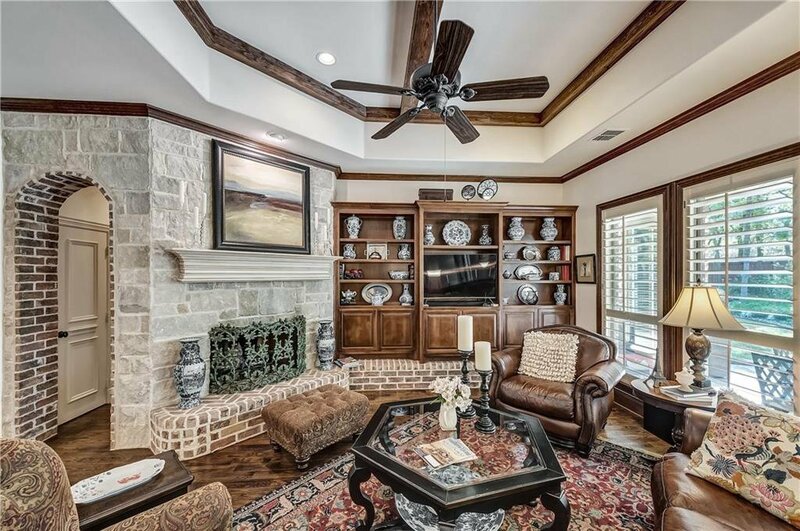 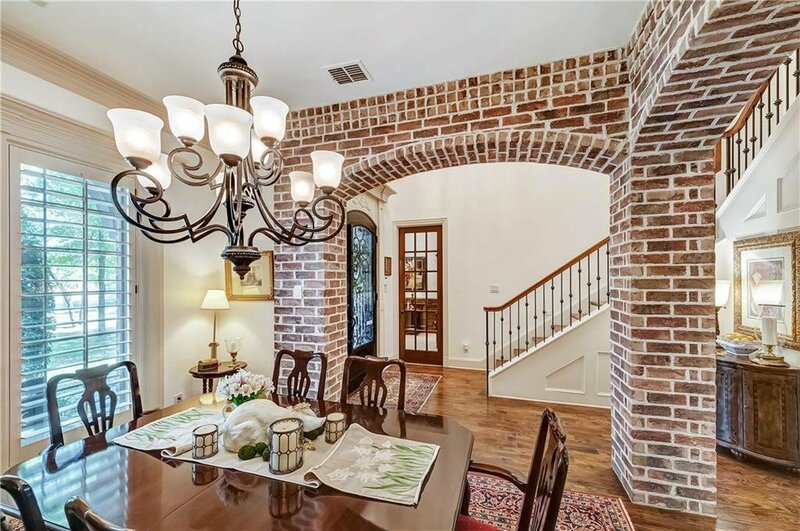 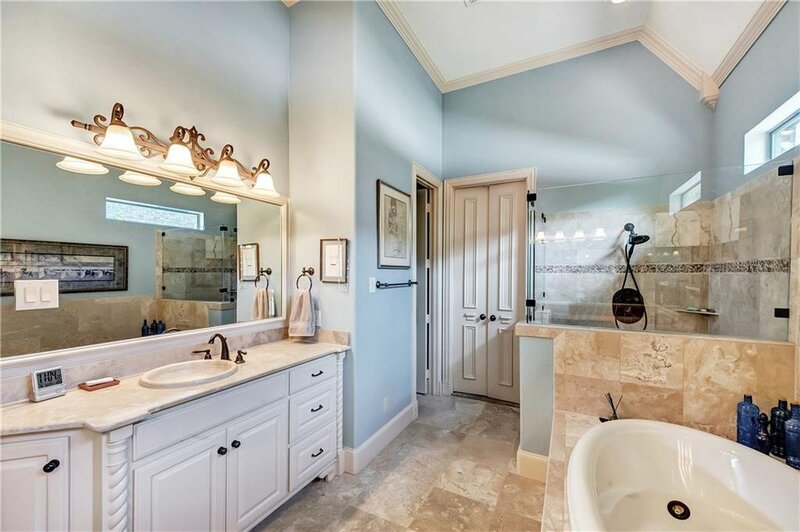 Custom features such as exposed brick and stone architectural walls, wood beams, custom cabinetry, hand scraped wood flooring, Travertine tile, granite counter tops and plantation shutters. 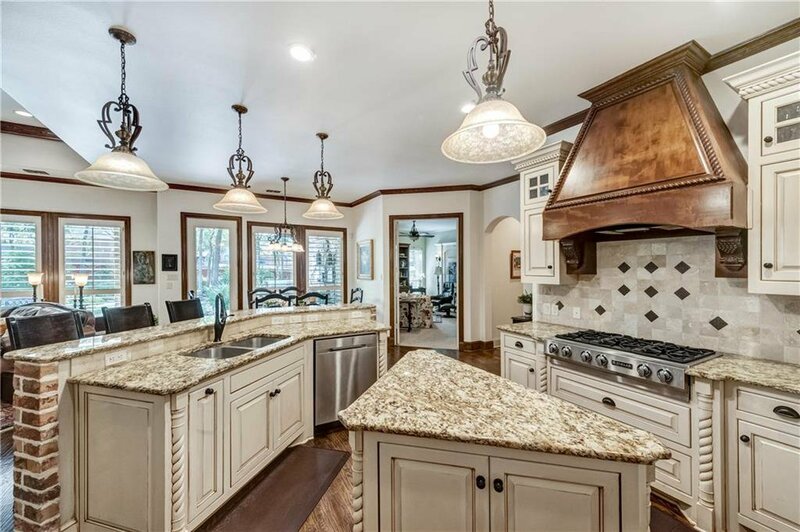 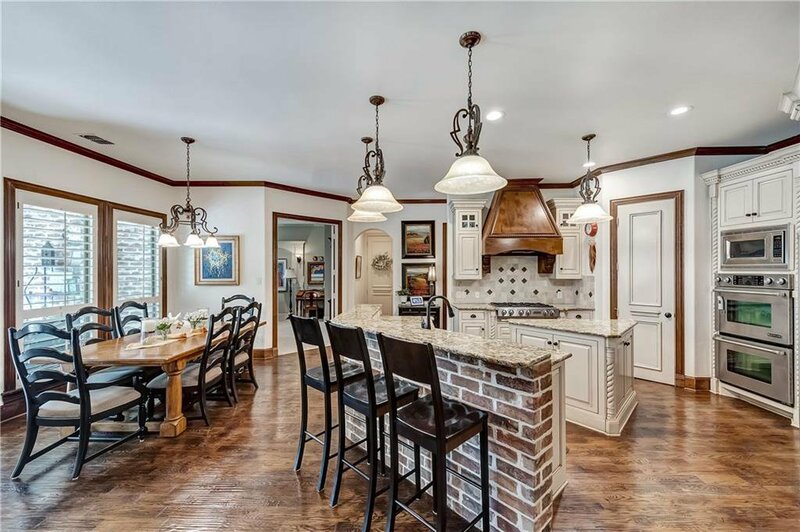 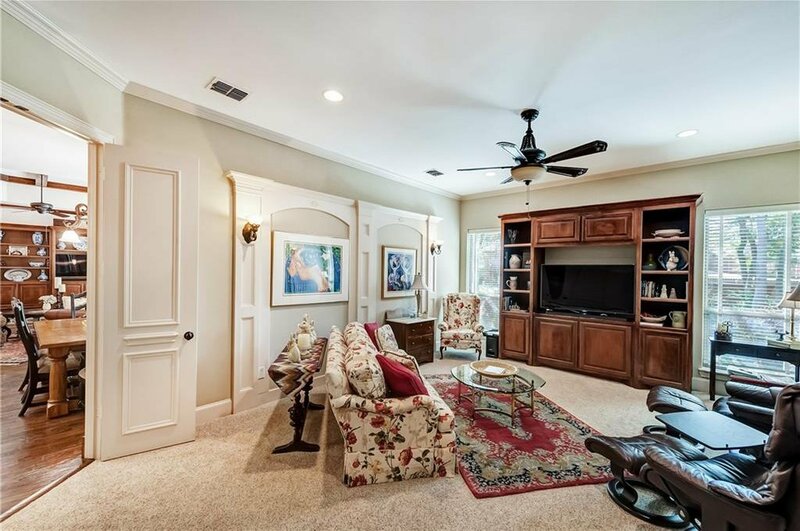 Large entertaining kitchen open to the family room, overlooking park-like back yard - perfect for summer gatherings. 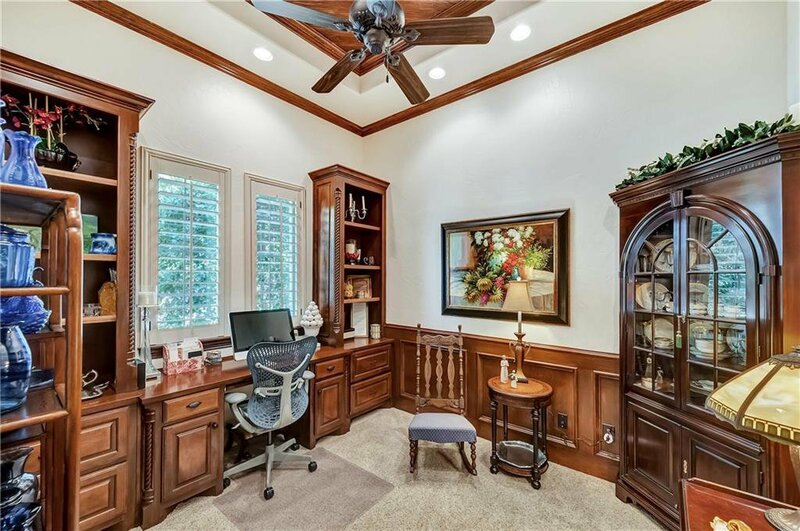 Formal dining area, wine room, study and downstairs media room. 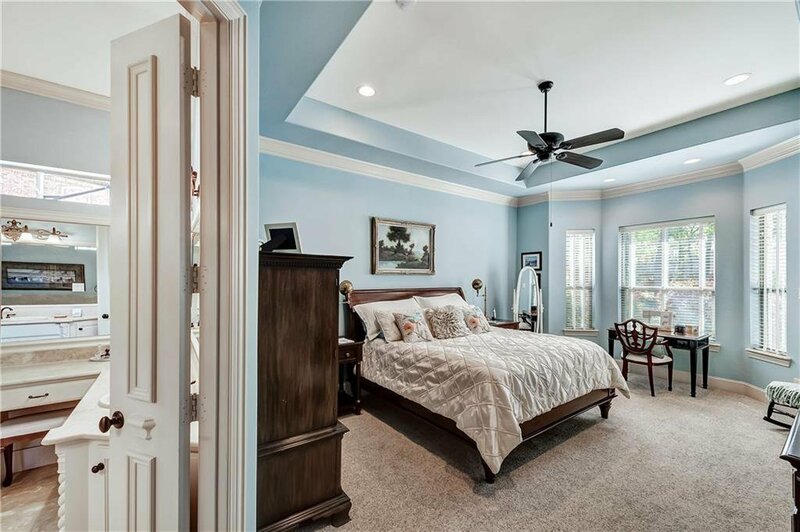 Master suite and guest bedroom downstairs, three bedrooms upstairs . 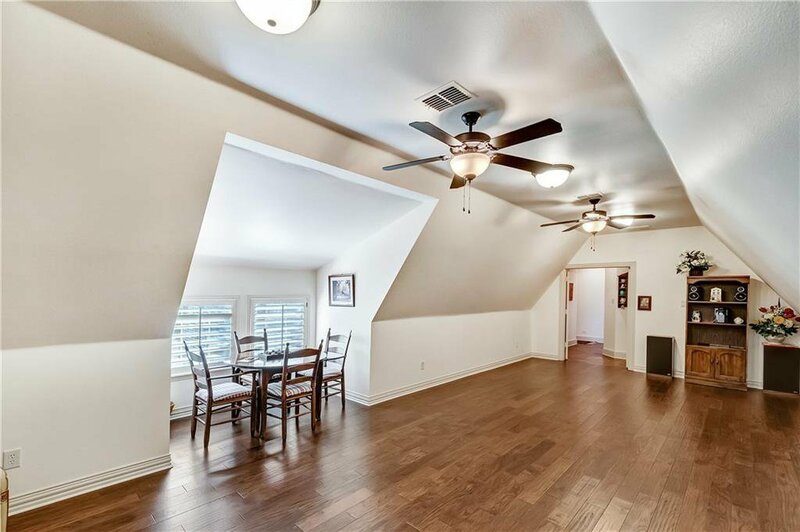 The upstairs also features an over-sized game room. 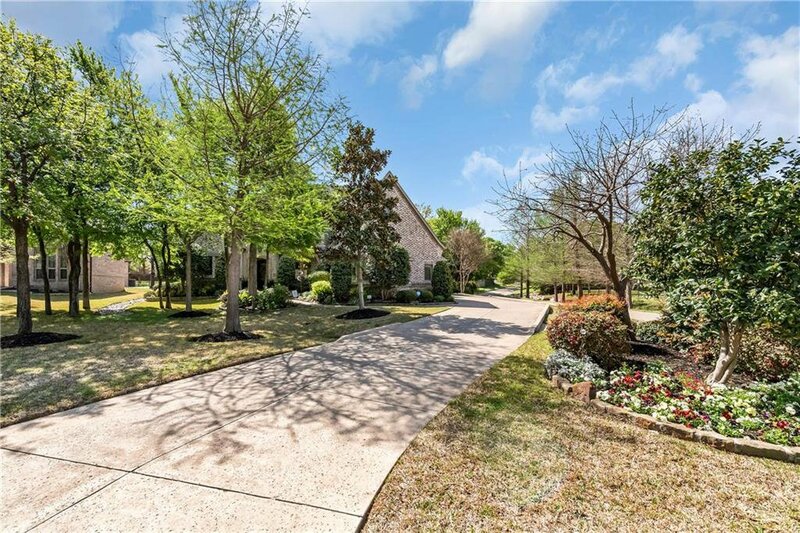 Family friendly community with three pools and parks.